.... I made my debut, after a period of hard work done in some clubs of the city of Messina and in some tourist villages in Calabria and Sicily and the "501 Club" Vibo Valentia (CZ), on the occasion of the national championships DJ. at the end of the seventies. Later I worked at major clubs and resorts in the city and in the province of Messina, and had various work experiences at some clubs of Sicily, Calabria and Lazio.Always at that time, I started as a radio announcer talking to several important radio stations in Sicily and Calabria(.... RLMC, RTP Radio Sirio, Radio Luna, Radio Antenna dello Stretto, Radio Messina Uno Speciall, Radio 101, SIS ...) and then RAI3 Regional and I worked in the radio program of RAI2 "Welcome to the Buddha Bar.".. I worked as a deejay at Telestretto a music TV Show "Hello 80" conducted by William aka DJ UK, working with artists and DJs of great depth as the Easy Going trained by Paul Micioni and the two DJs Francesco Bonanno and Ottavio's " corn "in Roma and later Russell Russell, Ivana Spagna. The radio program that I lead for years "Trend Café" is for fans of world music a real landmark. Since 2003 I started, in many clubs, and made known to mix and enjoy .... downtempo electronic melodies instrumental in stirring trip hop, ambient, jazz ... with evocative atmosphere style Buddha Bar Music ... with Nu-house, Nu -Jazz and electro lounge & Chillout. I often worked as Music Designer for fashion shows. The "alternative" music-style contemporary jazz, with influences of various kinds, from new age to ambient, from world music to lounge and chillout ....... is my daily bread. Currently I am working at Radio Play Emotions. Lounge, ChillOut, Ambient, Downtempo, New-Jazz etc. musical genres are treated, to turn on the emotions of the listener ... "perfect for relaxing". 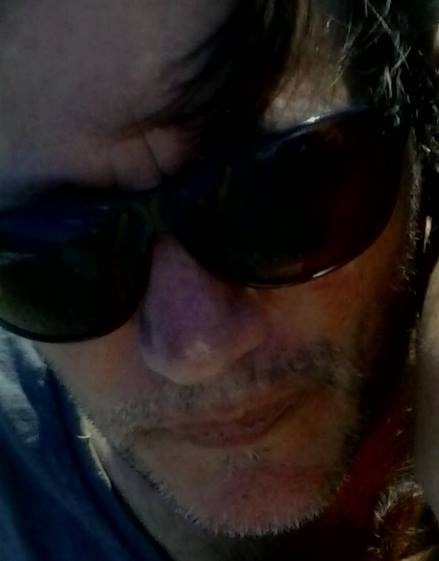 It also collaborates with various Web radio in Central and South Italy (Altroverso Radio, Radio City Solofra, Size Radio, Radio RMC Italy, Radio Grand Hotel, RLBM ...) Since February 2014, returned to broadcast in FM, with the program "In The Mix" - DjSet radio soulful music - on Tuesdays and Thursdays at midnight, thanks to Radio Antenna Febea transmitting on the frequencies 100.3 - 100.6 - 107.0, on a broad area that spans eight provinces (Reggio Calabria, Vibo Valentia , Catanzaro, Crotone, Cosenza, Messina, Palermo and Catania) between Calabria and Sicily. From 2015 on 100.0 FM radio Milazzo at midnight with the "Club Zone" (from 2016 an exclusive radio program for FM distributed by DMV di Roma), the Chill Out music. From December 2015 on Radio RMC Italy with a draft Chill Hip Hop aired every Wednesday at midnight. Thanks to Puccio Corona (RIP) RAI 1 for believing in me as Sound Designer "Linea Blu"
I experienced a brief period of my life before the Near East, in Saudi Jeddha in the town, then later in Egypt. Egypt, "Umm el Donya" that is the mother of the world, is the cradle of civilization, and that's why we feel so strongly the charm of the history of this country, because they come from our roots. Egypt is the land that I love: I visited and lived this country from the north, where the Mediterranean Sea washes the shores of Africa, to the pyramids, and then through the Western Desert and the Eastern Desert monasteries, to the ancient Nubia the sun-scorched earth, to the south, and the Sinai with its sea and its desert, east. I visited museums and monuments, I experienced its streets and its wilderness, I walked in the silence of the night to hear more mine, I have kept the Pyramids and the Sphinx at any time of day or night, I wandered in the souks I observed everything, I saw the most popular neighborhoods, I drank the tea under the tents of the Bedouins, I shared the fitar and its musical atmosphere, so simple, with the poorest, I daydreamed, I imagined, I have lived in this country every nuance, and yet still not enough for me and I never get tired, I always want to relive it, because it is a land of dreams, a land that warms the heart. Back in Italy, I was fascinated by listening to the musical projects of the Master and deejay Chaude Challe. Listening to the fascinating and magical atmosphere of the vibrant music lounge, chillout, ethno beat, contained in its compilation "Buddha Bar" from 1999 to 2003 I relived those moments fully lived in the Middle East. So I wanted to share my new passion for music, even my new spiritual experience, in 2003 thanks to the director of RM1S, Angela Costantino, who gave me the opportunity to realize my new radio project .... my adventure, evoking through the FM, not only the oriental atmosphere, but also bossa nova and tango nuevo, nu jazz or asian underground, Cuban rhythms and sounds chilling, Arabic percussion ... ..a fusion of genres Music Files "... World Music . A radio program aimed exclusively at a listening sensibly voted to everything that is trendy. A mix of Arab and Western traditional instruments ... to the Eastern percussion, like the tabla and mazhar, Shady, mixed with modern sounds and Western instruments. 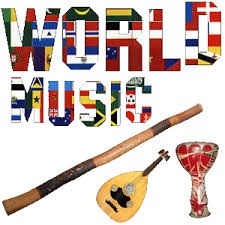 World music is a music of contamination typically between elements of popular music and traditional music (folk and ethnic) developed in the eighties. The musical projects that draw on different cultural traditions tend to go beyond traditional classifications; in this sense, to world music also it means, at times, the work of artists who refuse to take any specific traditional musical language, or even, in the sense extreme, "all the world's music", understood as a continuous fabric Related and modular experience, as opposed to the traditional view of music divided into genres and independent musical traditions. Although they are both related genres, world music should not be confused with worldbeat, which focuses on percussive sounds and a more "electronic approach" and "rock". Originally the music world was identified with all those foreign to Western music repertoire caught, and was intended solely to academic studies. Subsequently, starting from the sixties, migration, popularized in the West, the peoples from the various countries of the third world they released their music thanks to radio and television media in the western metropolis. The music from these cultures began to spread on a large scale since the eighties, when some entrepreneurs began to found independent labels aimed at the distribution of large-scale ethnic music. This resulted in a series of "mixing" between the various musical cultures that determined the creation of the genre. The spread of this kind has also been permitted thanks to the success of reggae that after have spread from Jamaica to the rest of the world since the seventies thanks to Bob Marley and Jimmy Cliff, aroused the interest of major record companies began releasing music ethnic, especially African. As "world music" are classified, in a symmetrical way, those artists African, South American and so on that have been "discovered" by the "business" of pop music and they typically follow an inverted musical journey, starting at its own musical traditions and " sposandole "to schemes suitable to be well received by European and us public (as Youssou N'Dour, Ladysmith Black Mambazo, Papa Wemba and other). Give the developments in transport and communication systems even compared to the beginning of the twentieth century, no wonder that Western traditions are connected with those of other cultures, with mutual influence; In this sense, it is likely that the boundary between what is called pop music and ethnic music becomes more and more elusive on. Critics of this trend argue that it could lead, in the long term, a substantial "globalization" of music which would coincide with an impoverishment of the musical traditions of the peoples. From this concern was born, as a countermeasure, the interest in the study and preservation of the musical traditions of the countries of the third world. The term world music identifies all those kinds of music that fall outside the box "standard" of pop music or Western classical music using some kind of ethnic component, that is explicitly attributed to a particular ethnic group, population or culture. So we can deduce that the ethnic music is music belonging to a specific people. common use of the term is usually a reference to the traditions (and instruments) music of the Third World, particularly Africa and South America, but also Australia (Aboriginal music), Middle East and so on. One can refer to both the traditional folk music and music of these countries and to Western pop music that has influences from such contamination and musical traditions (or vice versa). Evidently, the different types of music that fall into this category have no particular unifying common element from a musical point of view, referring precisely to a variety of independent music traditions. The term world music is mainly used with intent related to pure classification (for example on the shelves of record stores or libraries) or the marketing of music. Among the various possible uses of the term there are shades of meaning. Western pop music with contamination or ethnic influences, such as Paul Simon (for example the album Graceland 1986) or Peter Gabriel (at least from the fourth forward album) is often called world music, a term that arises in the context of business of pop music. Under the same heading are classified, symmetrically, those African artists, South American and so on that have been "discovered" by the "business" of pop music and they typically follow an inverted musical journey, starting at its own musical traditions and "cleverly combined "schemes to suit well received by the European and American public (such as Youssou N'Dour). Given the evolution of transport and communication systems even compared to the beginning of the twentieth century, no wonder that Western traditions are connected with those of other cultures, with mutual influence; In this sense, it is likely that the boundary between what is called pop music and ethnic music becomes more and more elusive on. Critics of this trend argue that it could lead, in the long term, a substantial "globalization" of music which would coincide with an impoverishment of the musical traditions of the peoples. From this concern was born, as a countermeasure, the interest in the study and preservation of the musical traditions of the countries of the third world. One particular example of a possible merger of genres and is the ethno-electronic music, which combines and preserves aspects of world music blending them with electronic music. Among the specialized record labels in the world music publishing are the A Luaka Bop David Byrne, the famous Real World Studios of Peter Gabriel, the Deep Forest, the Sacred Spirit, the Agricantus, the Rough Guide, the Felmay, Folkways the Tropical Music, the Malanova and Corepolis etc. The world fusion music is a fusion genre of world music, in which blend the musical traditions from around the world, which are often contaminated and mixed with modern music such as jazz or rock. Among the first fusion experiments of jazz with elements of the third world music may include some works of the fifties and sixties by artists like Sun Ra, Dizzy Gillespie; in the seventies there was more experimentation with the work of John McLaughlin, who sought new sounds in India, but also of Don Cherry, Keith Jarrett, Don Ellis. The term world fusion music was coined in 1978 by the band Ancient Future to define their new style of music. Related to the world fusion are worldbeat and ethno-jazz. 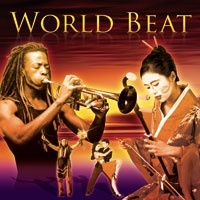 Worldbeat is a term used in the English-speaking world corresponding to our music world. 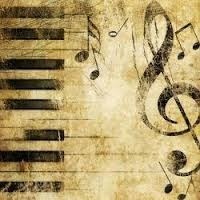 It is used, in fact, for enclosing those musical styles that blend elements of folk or ethnic music with others derived frompopular music, that is, the Western pop music such as rock, pop music, but also soul, funk, etc. Usually, it considers that the worldbeat was born in the mid-eighties, when artists like David Byrne, Peter Gabriel and Paul Simon began to incorporate into their music Latin and African elements. In fact this process has only exploded in those years, in conjunction with the phenomenon of globalization, but it was born much earlier, especially in jazz and Caribbean. One of the progenitors is the trumpeter Dizzy Gillespie, who in the late '40s fused Cuban music to bebop, so processing the afrocuban jazz. Later there were many other examples of this trend in jazz, played by musicians like John Coltrane, Don Cherry, or groups such as the Paul Winter Consort, Weather Report and Oregon, which in the 60s and 70s experienced the ' meeting between jazz and various ethnic musics of the world, mainly from India, Africa and central and south America. In the '80s, then, the phenomenon moved within popular music and began to gain a large share of the international market. But now, following the spread of the Afro-American music and rock in Africa, they were born already have children other kinds of contamination, such as mbalax Senegalese and Nigerian afrobeat. In discs of Peter Gabriel, Paul Simon and others, therefore, the rock was melted not only with some traditional African music, but also with these new genres. Some of the most common genera are incorporated folk rai, samba, flamenco, tango, qawwali, highlife and raga. By the term generally refers to traditional music is popular music or folk (also written folk), for which in English is used the definition of traditional folk music, the music is derived from it, for which in English is generally used the definition of contemporary folk music or folk music revival. 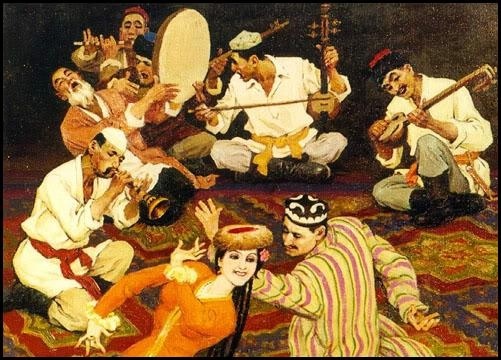 The Traditional folk music, which coincides with our traditional or folk music, has been defined in various ways: as "music transmitted orally" and usually played from time immemorial, as "music of the poorer classes" or even as a music created by " unknown composers. " What is certain is that folk music is distinct from popular music and classical music, seen as three major categories that together form an "axiomatic" triangle. 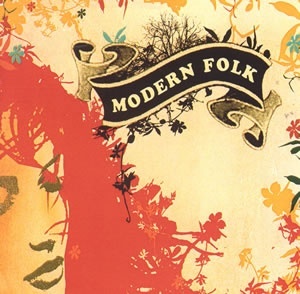 From the middle of the twentieth century, many artists began to develop new forms of popular music inspired by traditional folk music, to which the British now refer to the terms of contemporary folk music or folk music revival, including in these definitions also certain types of folk music called world music. This process, which saw its heyday in the sixties, however, must be distinguished from the latest derivations of traditional music . 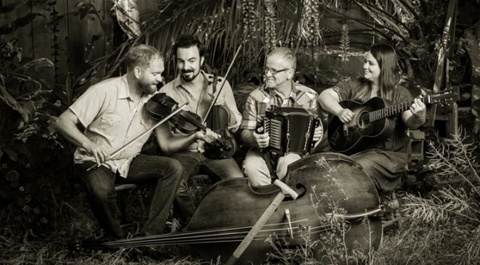 Many have been in the past, the small rebirth of folk music, although this term is ill-suited to new musical forms created during these periods of revival. For these new genres are more appropriately used terms such as folk rock, folk metal, Progressive folk, folk Indies and others, that emphasize the derivation. One can in fact define folk music written melodic lines today, thereby falling in popular music, and much of the music that mingles with elaboration of archaic songs is the work of the author. 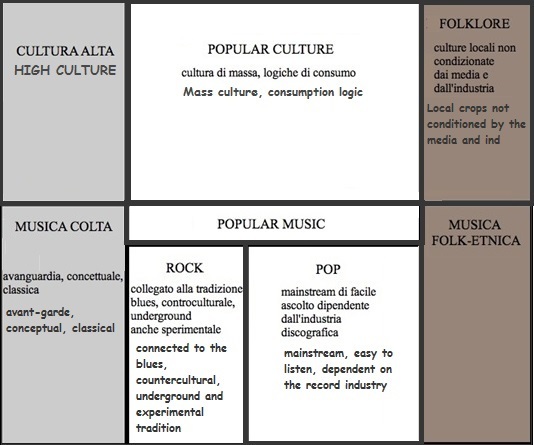 In the Italian language is often used improperly popular Music label (in English Popular music) as a synonym for folk music or traditional music, with which we refer instead to music written in the language of the people and designed for the people, understood then how "overall liking, popular, popular." A consistent definition of "traditional folk music" eludes us. The terms folk music, folk songs, and folk dance expressions are relatively recent and were a direct extension of the term Folklore (English Folk lore), English antiquarian William Thoms coined in 1846 to describe "the traditions, customs, and superstitions of the uncultured classes ". The term was in turn taken from the German Volk in the sense of "all the people", as it was applied in reference to folk music and national then by Johann Gottfried Herder and the German Romantics in the middle of the previous century and joined "lore" that the his sense of the noun means "teaching", "knowledge", and as an adverb takes on a temporal character meaning "back then." In the traditional folk music definition encompasses also the ethnic music. In an attempt to limit the folk music on certain characteristics, they were numerous, over the past two centuries, the different definitions . Folk music can tend to have specific characteristics, but have not been clarified in purely musical terms. One of the meanings given to the term is to "old songs by unknown composers," another is that the music is subjected "to an oral transmission process ... from the continuous repetition of music by a community that gave their characters folk. These definitions depend more on "cultural processes that do not from the musical abstraction types." They are the "continuity" and "oral transmission" to be seen as characterizing one side of a cultural dichotomy, the other traceable, not only in the lower layers of feudal society, capitalist and sometimes Oriental, but also in primitive societies and partially in the "popular culture". A widely used definition is simply "Folk music is what the people sing". So much for Scholes, as for Cecil Sharp and Béla Bartók ,, there was a sense of the music of distinct campaigns from that of the city. Folk music was everywhere, "... seen as the authentic expression of an approach to life now belongs to the past or about to disappear (or in some cases to preserve or revive somehow)", in particular in "communities not influenced by classical music", it from commercial songs or recorded. Lloyd however, refused these definitions in favor of a simple distinction poorer classes [, finding the true meaning of folk music in the words of Charles Seeger, that associated with the "lower classes" of a stratified society socially and culturally. In this sense, the folk music can be seen as "part of a pattern that includes four musical types: 'primitive' or 'tribal', 'elitist' or 'cultured', 'folk', and 'popular'." With "Folk music revivals" you can refer to a period of renewed interest in traditional folk music, or to an event or period of transformation of folk music, which generally require significant social changes. An example would be the case of the British folk revival took place between 1890 and 1920 or, in the same period, a similar case can be to smooth in Italy, while the most important and influential example of recent revivals of folk is to half of the twentieth century, which marked the birth of contemporary folk music and contemporary folk music.Another recent rediscovery of folk music influenced composers instead of the likes Percy Grainger, Ralph Vaughan Williams and Béla Bartók who released recordings and transcripts of singers and folk musicians. In Spain, Isaac Albéniz (1860-1909) produced piano pieces that reflected the Spanish heritage in songs like Suite Iberia (1906-1909). Enrique Granados (1867-1918) composed instead zarzuela, a small Spanish opera, and Danzas Españolas. Manuel de Falla (1876-1946) became interested in the Andalusian Flamenco Cante jondo, of which we can find influences in many of his works as Nights in the Gardens of Spain and Siete canciones populares españolas. Composers such as Fernando Sor and Francisco Tarrega established the Spanish guitar as a national instrument. Flamenco grew in popularity throughout the twentieth century, which happened also to the Celtic music of Galicia, while the French composers of classical music by Georges Bizet to Maurice Ravel, worked on issues and individual Spanish genres making them universally recognizable. The Folk music revivals also called wrapped roots revivals also includes a number of events around the world who see a renewed interest in traditional music and this often among young people, often within specific territorial boundaries and often include incorporations of new tensions social, causes and trends in new music in the same style. An evolution of this type in the Nueva Canción Chilena we, for which they found new forms of agostiniale clients. The few exceptions to this model are going back to the historical and political conditions and the demographic shape of the fans of the genre: Music celtic, blues, Americana Music Central and South America, and Klezmer music of Native Americans. The Contemporary country music, while evolving in a different way, comes from the tradition of the American rural folk, bluegrass and the music was a professional development of the old American music interspersed with blues and jazz. 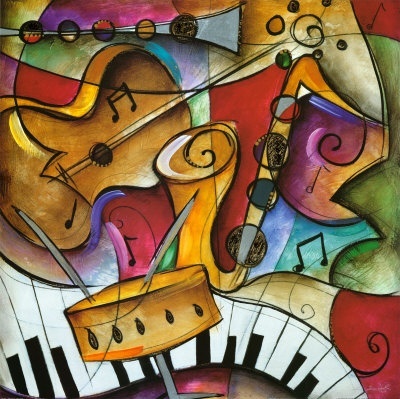 “Music is the verse of the soul, and melody the quiver of a sweet breeze on a heartstring. It’s a fairy’s magical fingertips fluttering over a sentimental doorway, opening to reveal hidden memories from the depths of the past. 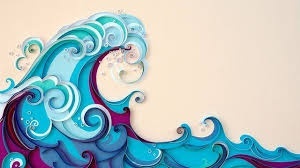 It is the quivering of a chord, penetrating your ears through the waves of ether, only to exit in the form of an ardent teardrop leaving its languorous trace of long lost love or the painful bite of destiny. Maybe these notes could exit through your lips as they widen with the joyful smile of fulfillment. In ancient times, the clapping, the snap of the fingers and singing were the only musical accompaniment of dance. Later born percussion instruments followed by melodic which evolved to the present day. Initially it was the same dancers who played musical instruments, but when these became more complex was necessary to resort to a group of players. 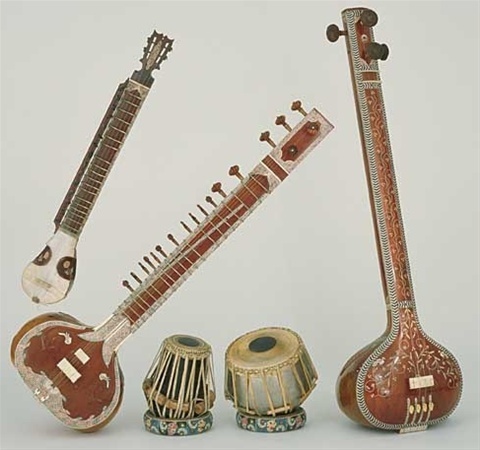 The UD is the most well known and important instrument of Arab music. Derivation of the oldest Persian, tool called "Barbat", the "Ud" which literally means wood, takes this name when it was adopted the lute with the soundboard wood to replace the original parchment. This tool is the basis for every type of composition and developed for its importance is also a current study and musical thought called "the school you heard". The Ud is made from a wooden soundboard (pear-shaped) and a short handle with the terminal scoop curved at a right angle. 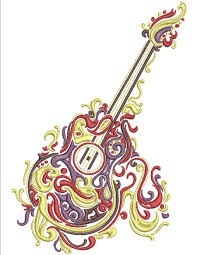 The number of basic chords is four, but in the ninth century was added a fifth string and still later appeared on "shashtar", a lute with six strings, including five dopie and easier acute. The Arabs call it, not without reason, the "sultan of the musical instruments." Descendant of the ancient Egyptian harp, the Qanun has an important role already in the tenth century Arab music. They 'a brass instrument and trapezoidal wood that has 72 strings tuned in groups of three, the modulations and the tone changes are due to small bronze fins shaking when you want to increase the note sound. 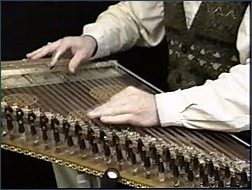 The instrument is horizontally placed on your lap or on the table of the musician who plays it by plucking the strings with fingers or plectrum applied to directories. 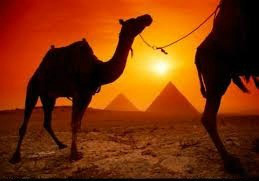 It is used in popular music and in Egypt, in Iraq, in classical music. Tool consisting of a wooden broad handle that ends with two lateral blocks. The resonance chamber is small, made of coconut and armor covered with animal skin. It equipped with two horsehair strings tuned in the house, playing with the help of an arc. It 'a kind of traditional oboe which owns 7 holes in the front and one in the back. common tool in the Arab-Islamic countries, is used in all of Egypt's folk music. I also find the popular music of the Maghreb by the name of "Mizud". And 'the oldest musical instrument created by the Egyptians Pharaonic era with the stem of the cane (wild plant that grows on the edge of the countless canals that flow to the Nile). The length is between 37 and 80 cm. - Shorter length corresponds to higher sound - and has holes 7, of which one at the bottom. His poetic timbre suited to melancholic effects that can express both joy despair. Since the ancient times the Arabs have used the flute to accompany poetry readings. Typical of the rural folk music instrument (Sha'abi) of Egypt, the arghoul is undoubtedly the oldest wind instrument in the musical landscape of Egypt today. It consists of two rods, tied together or glued or attached with wax, fitted with reed, of which one can produce a single note, and then by continuous low, while the other is provided with 7 holes which allow the production the melody. There are three types of arghoul: l '' arghoul as-sghir "or arghoul small, the" rorhma "an interim step, and the '' arghoul al-Kebir", or large arghoul. Req means "delicate." The circular wooden frame is constituted by metal plates and coated on one side with goat or fish skin. The sound of this percussion instrument keeps the rhythm in Arabic music, especially in classical music performances. Also known by the name Tarr. Similar to the "req", the Duff does not possess saucers and has a diameter between 30 and 50 centimeters. The circular frame is covered on one side with goat skin. 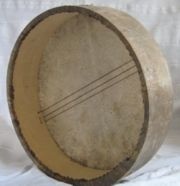 Used in folk and religious music, it is also known by the name of ADUFE. 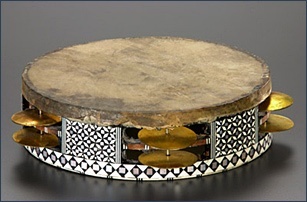 Similar to Duff, the Bendir has the wooden frame, the diameter generally ranges between 40 and 70 cm; no cymbals unlike the tambourine or the Egyptian riqq. Often it has a hole on the side, where you enter the chickens and for a better grip and control of the instrument. The membrane of goat and is glued or nailed to the frame sometimes skin. Under the skin they are stretched some sympathetic strings that give the drum a classic "buzzing" sound and perform the same function of the tailpiece in a snare. Originally, these strings are animal gut, but in stumenti most touristic and marketed today is widespread nylon. Percussion instrument used in classical music, folk and modern Arabic. In ancient times the cylindrical shape was made of clay and the upper mouth was taut skin of fish. Currently it is found more easily in aluminum and plastic because more resistant to moisture. Also called "iI heart of the Arabic music." Tool formed by two pairs of metal plates, each of 6 cm. in diameter that are put on the middle finger and thumb of each hand and use as an accompaniment to the music. We can find it in the folklore of Turkey and Egypt) is often used by Gawazee population). The sitar is a stringed musical instrument in northern India; It is the instrument of Indian classical music best known in the West. It is thought to have been imported in India from Persia. 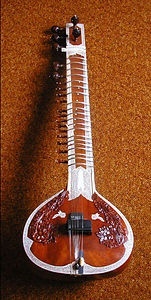 The term probably comes from the Persian word sitar seh-tar, which literally means three strings, and in fact there is an Iranian instrument called setar which presents similar characteristics; both derive from an evolution of the zither in turn derives from the lyre, a term of Persian origin: "al'ūd (wood) and tar (rope). The strings are generally seven upper and eleven lower three are used to play the melody, the other to provide a rhythmic accompaniment and bordone.Tale accompaniment is due to sympathetic resonance. The sympathetic resonance is a physical phenomenon where a sound from any audio source, puts the taut strings in motion. In the culture of India these ropes are ropes they call the Gods. The sound box of the sitar is made with a pumpkin cut in half, in which a thin layer of wood is added which acts as a cover. His tone is vibrant and very impressive. The Shanai (or Shanaj, shehnai) is a musical instrument aerophone similar in shape to the flute and oboe; native to the middle eastern and European civilization is widely used in India for marriages and processions its sound was felt mercy seat. The instrument, of slightly conical shape, has more holes (six to nine); has double-reed (like a modern oboe) made from a dried reed, this allows him to have a very powerful sound and also we would Shanai is usually played in open places. It is widespread in Turkey and Persia as the zurna and surnay.